It’s always interesting to see how things evolve and change through the black metal lens. With so much branching diversity and sometimes bizarre permutations, it’s getting hard to shock the listener at this point. 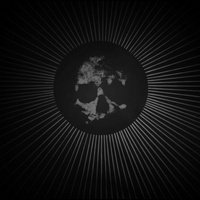 But one of the more interesting routes that black metal has taken is the path left by Deathspell Omega. There’s an almost occultish vibe present in Glorification of Holy Death that pairs quite well with Thantifaxath and Imperial Triumphant’s latest that Kafirun does quite well. A 5-song EP, Glorification of Holy Death makes up for its short timeframe with an immersive atmosphere and a nice blend of traditional black metal with more modern touches. While there is plenty of frenzied blast beats, the overall tempo that the band seems to embrace the best is actually a more mid-tempo march. “Open Veins” and “Wings of Malevolence” both benefit from some slowdown that leans towards a murkier and occult vibe that alters things from the traditional black metal sound. These slower sections also use a multitude of voices, from chanting to murmurs to droning and agonized shouts. It’s nice to see some vocal diversity, even among the faster moments of the EP (see “Salvation Through Sin”) that mix in nicely with the usual croaks. While there is a dirty approach to the sound of the album, it doesn’t mean it’s meant to be unclear. Why there’s even some bellowing bass lines that are audible through “Destruction of the Divine Self” are a welcome surprise. With two EPs under their belt, Kafirun seems to have what it takes to provide the traditional black metal sound with their own unique spin. Translating this fury to a long-player is the next logical step in getting the band out to a wider audience and shouldn’t be an issue with the strength of their songwriting.